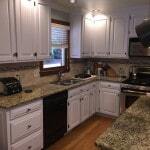 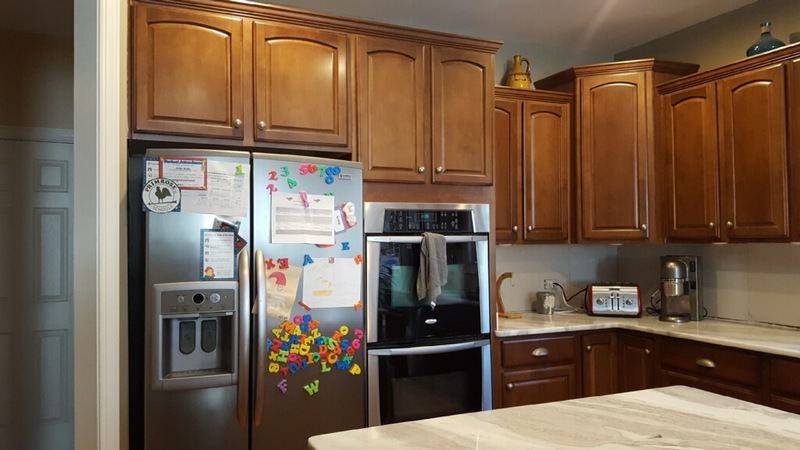 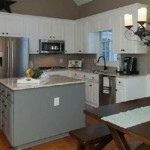 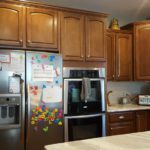 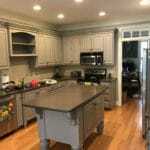 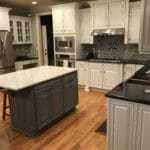 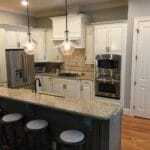 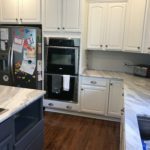 Major renovations were underway in this roomy kitchen. 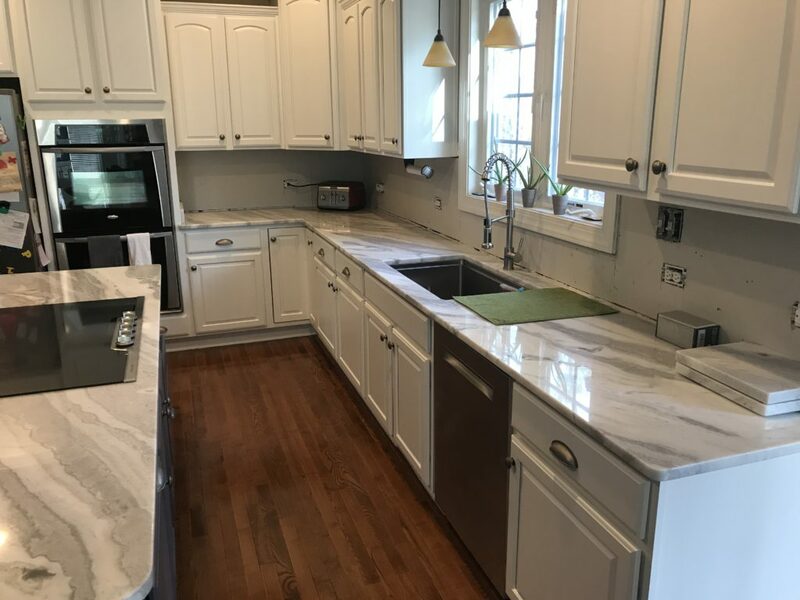 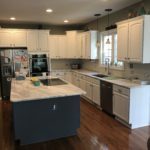 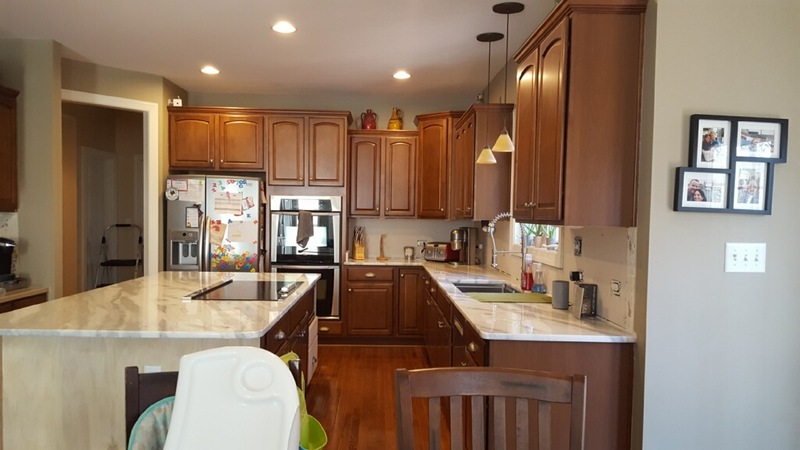 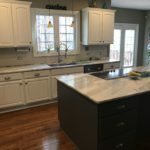 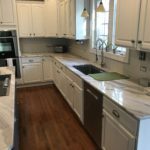 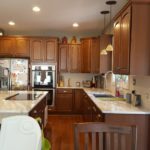 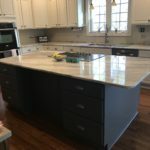 A new, larger island was built, new gorgeous countertops installed, and next up a subway tile backsplash to tie in with the new color scheme. 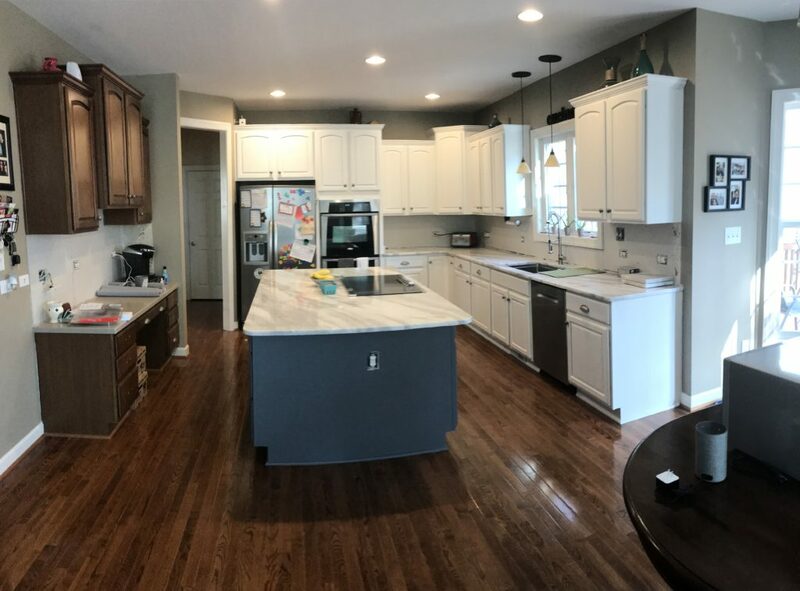 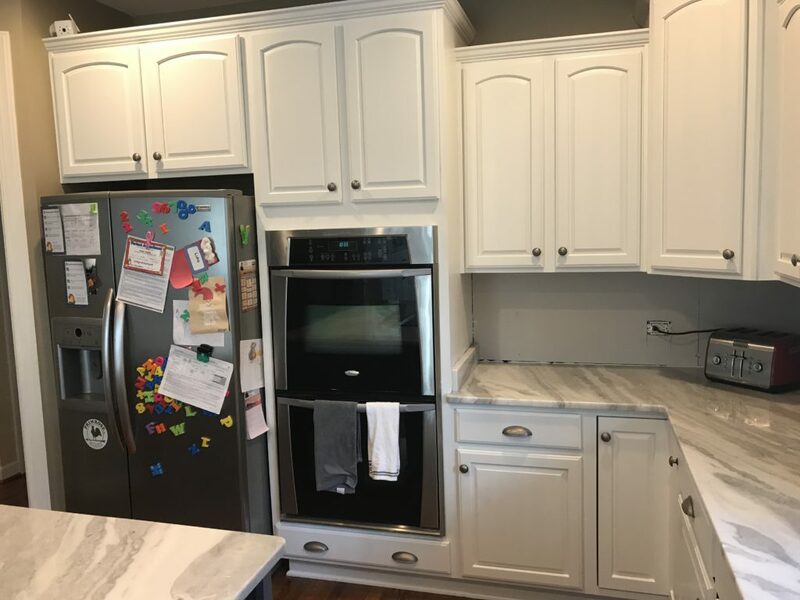 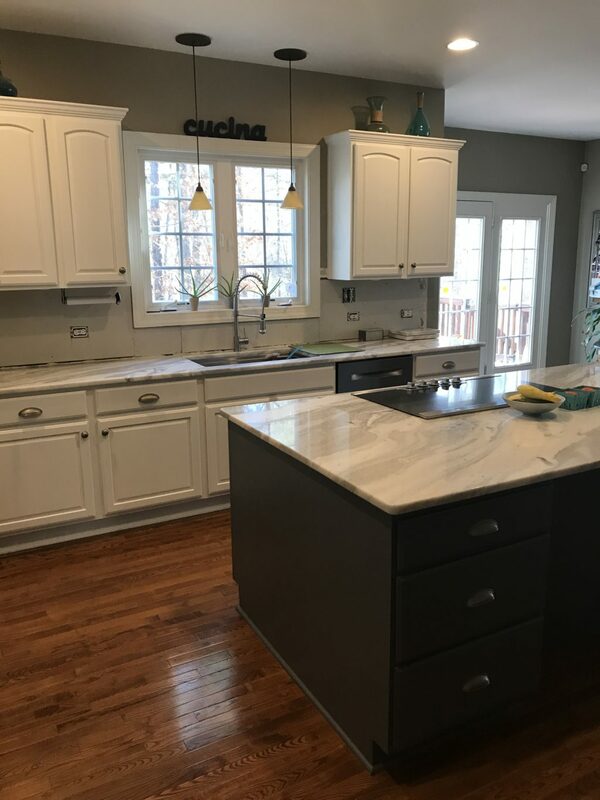 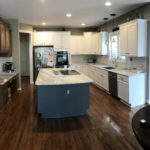 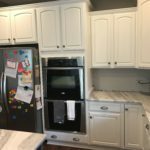 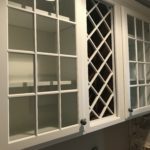 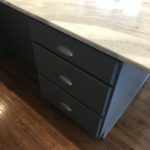 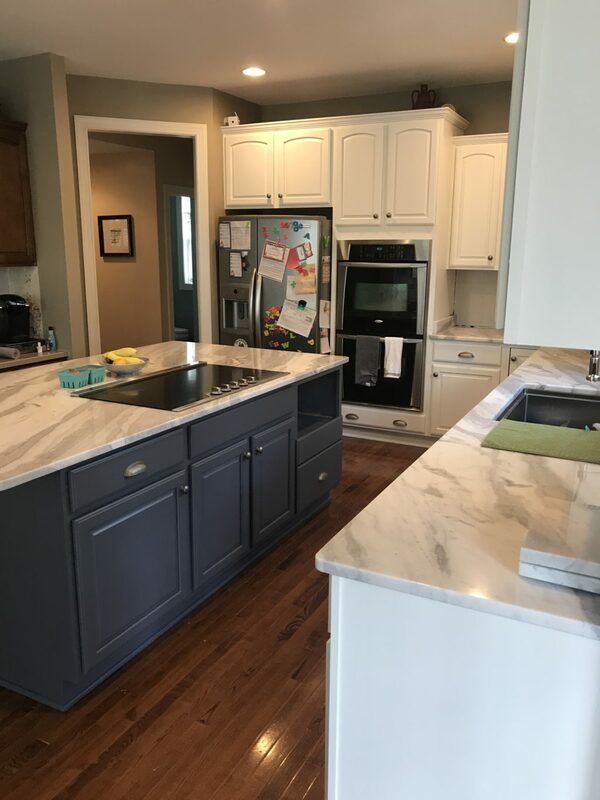 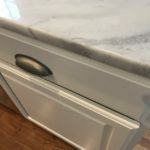 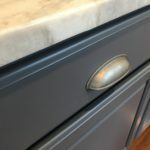 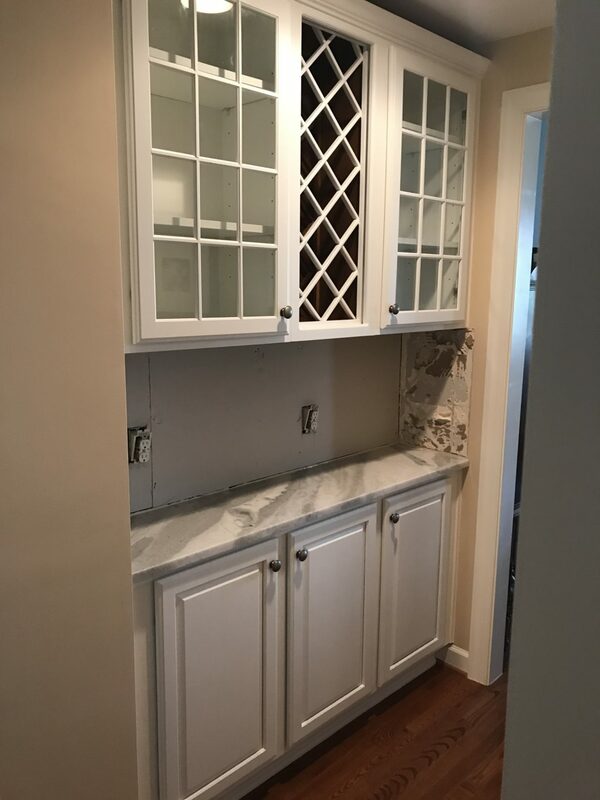 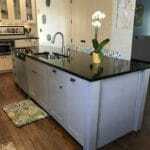 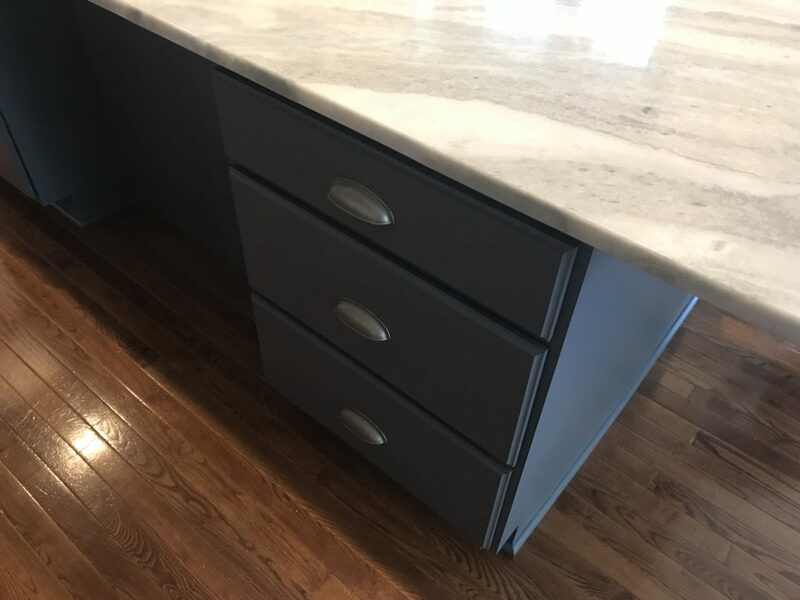 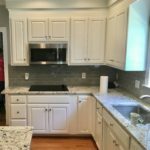 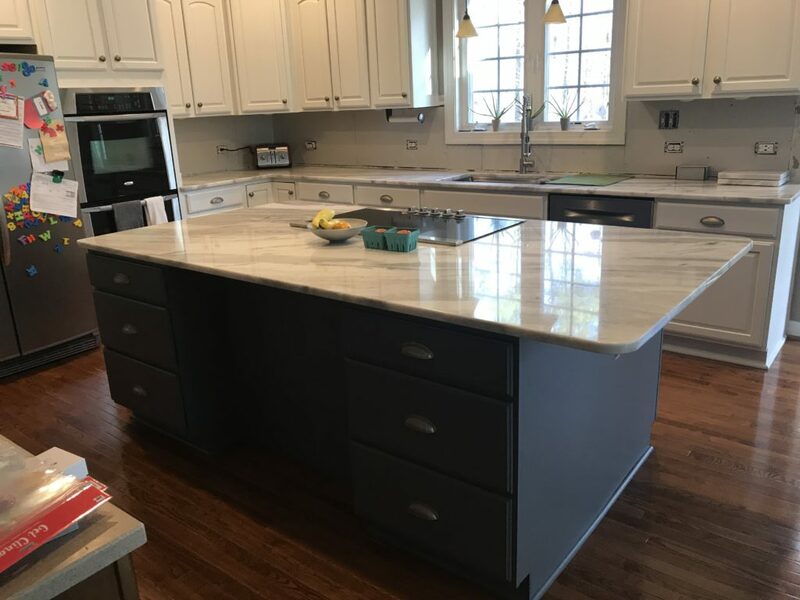 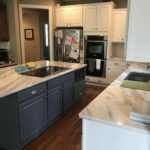 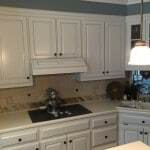 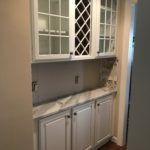 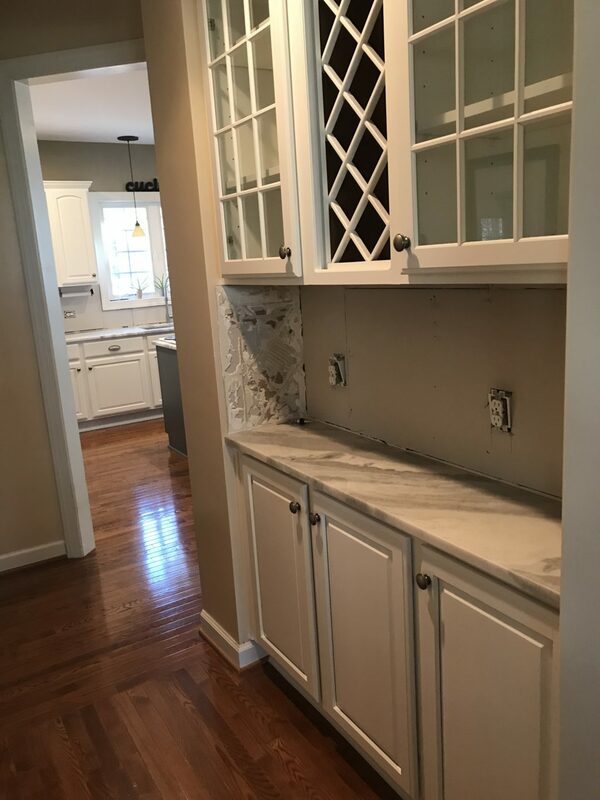 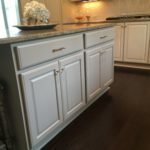 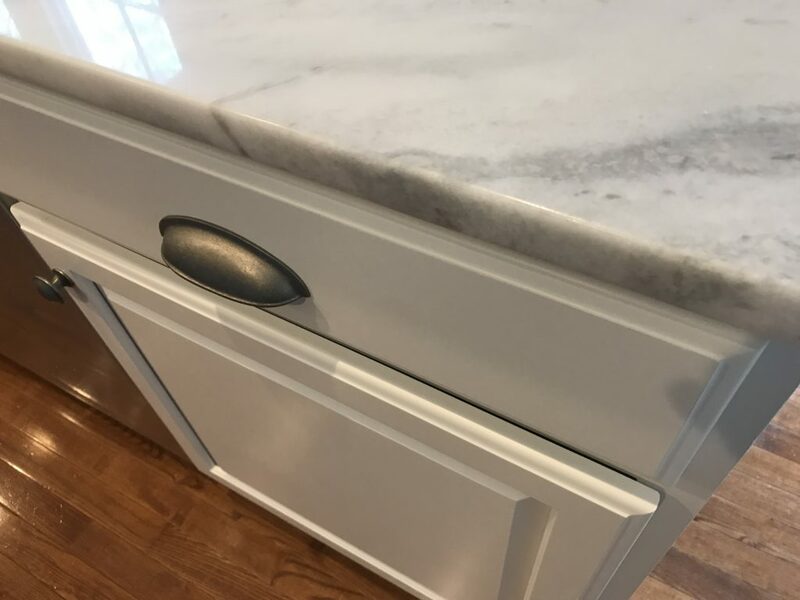 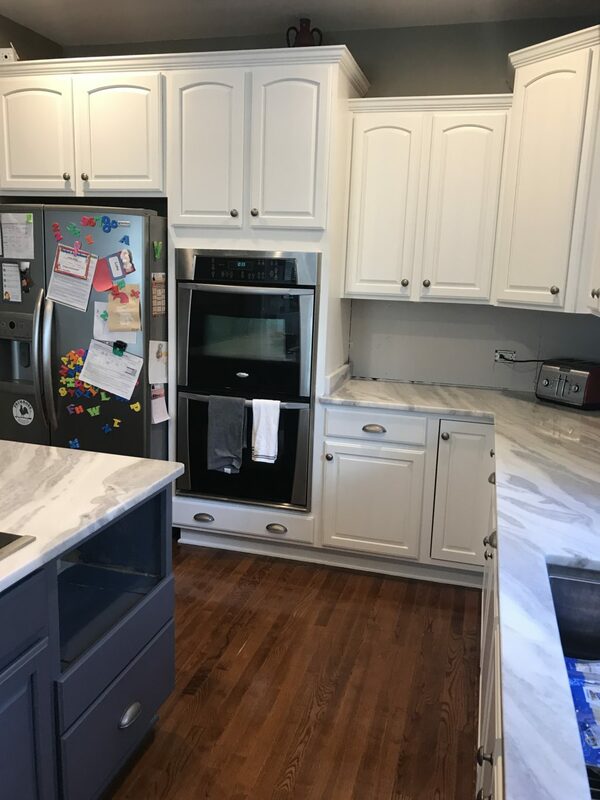 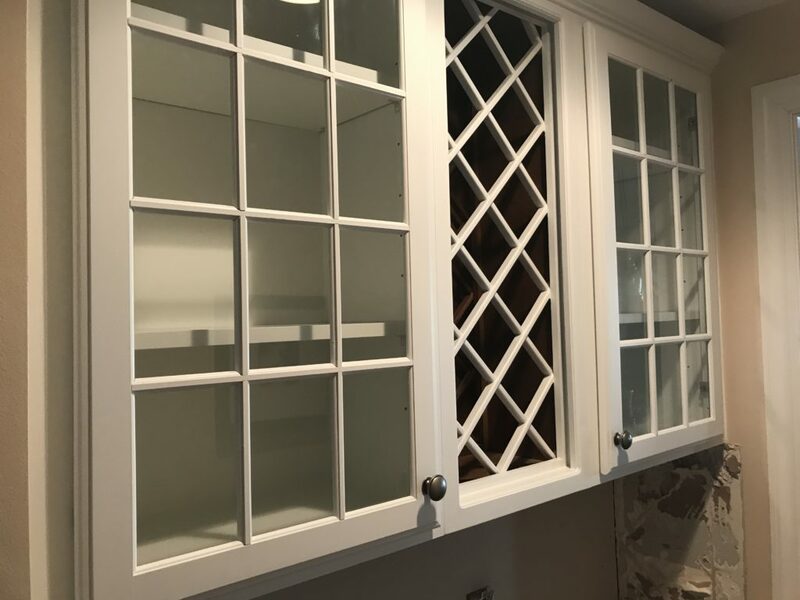 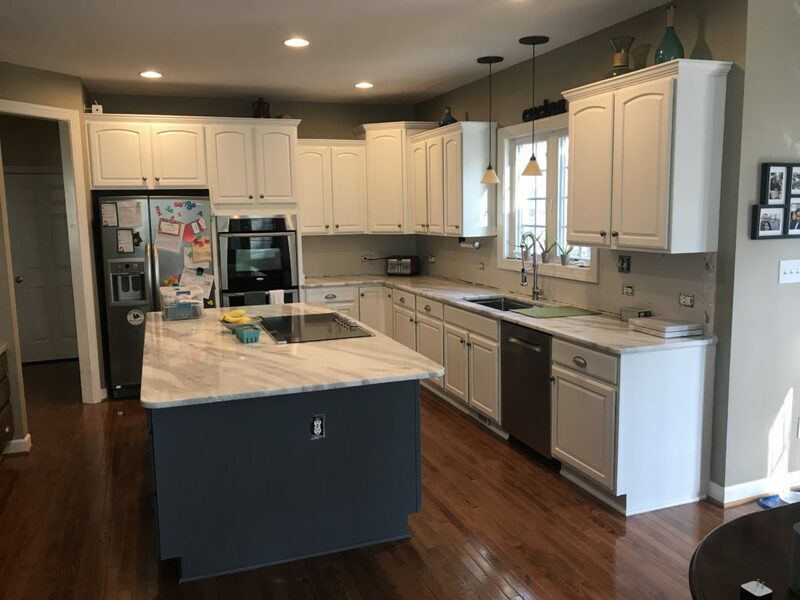 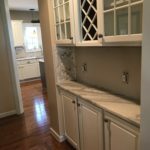 The homeowner chose a white (Sherwin Williams Extra White for the wall cabinets) and a rich gray (SW Gibraltar) for the island. 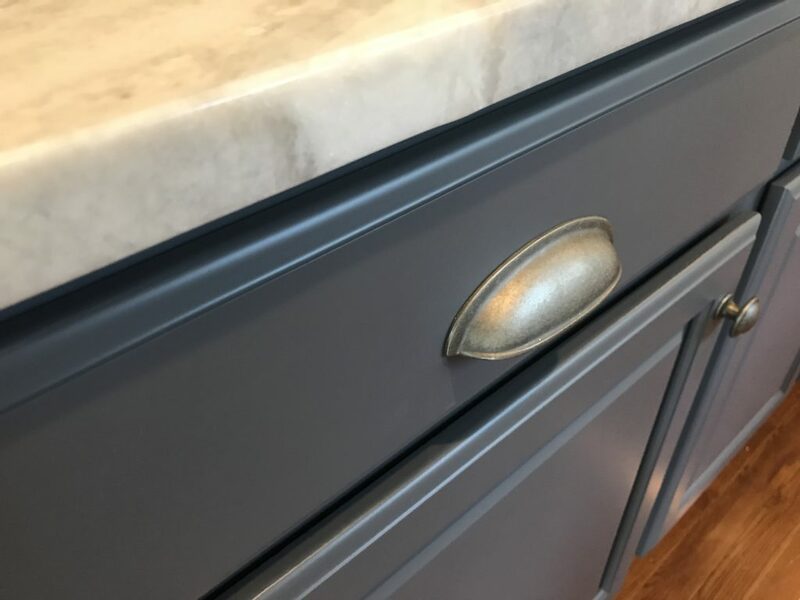 These colors work so well with the new counters.